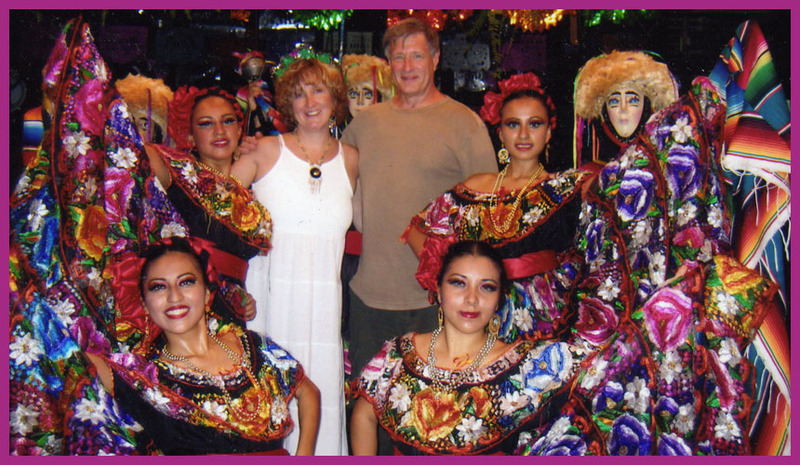 It's easy to picture yourself in AnneMarie and Jim's place at this wonderful folkloric restaurant in Chiapas, Mexico. With over 15+ years in the tourism industry, Mariposa Tours will create the trip of your dreams whether it's just for you and your special someone, your family or groups of any size or composition. We especially welcome High School, University student, and Senior groups. You can also elect to stay in homes with local families in order to enrich your cultural exchange. Whatever category you fall in, Mariposa Tours takes care of all of the details. We pride ourselves on our work with indigenous groups in each country to make arrangements for Work, Play, Share Tours. Perfect for groups that would like to help with the coffee harvest in Chiapas or put your construction skills to work helping build a classroom for a remote community. In Ecuador and Peru, you might choose to help improve their potable water system, plant or harvest crops or join in a community-wide effort to maintain the common roads. Another Mariposa Tours specialty features the combination of a vacation plus Spanish Immersion classes, the best way to learn the language that keeps confounding you. We currently are working on our 2018 calendar. Click on the Spanish Immersion link below to learn more about these unique trips. Or we'd be happy to add a trip just for your group to any of our three destinations: visit Mexico's Natural Wonderland of Chiapas, or stay in the most temperate weather in Ecuador to visit and study, or include Machu Picchu in your vocabulary in Peru: just write us and we'll help you plan it. Whether you're looking for an economical trip, a service trip, or a total vacation, Mariposa Tours will help you create exactly what you desire. We're happy to customize our trips to YOUR specifications. We always include all destination ground transportation, be it a chartered bus or train, river trips, guides, entry fees and hotels or home stays. And we are happy to include your meals and air transportation, too. For student groups, their price includes all door-to-door transportation, hotels/home stays, meals + tips, guides and entry fees: the only money students need to bring is for their souvenirs. Just click on the links below to start planning your personalized trip.